Jeremiah was speaking to the people. His message was one of encouragement. It would be the kind of message to build a person up. And to help them go beyond. But it comes as a long view, not a quick fix. The Israelites were in exile, a punishment from God as result of their disobedience. The prophet Jeremiah confronts the false prophet, Hananiah, who had boldly proclaimed that God was going to free Israel from Babylon in two years (spoiler alert: God doesn’t do this). If you are going through a difficult time what do you hope to receive from God. How would it feel to hear the message in these verses? What might help you to keep on going even when discouraged? Zacchaeus desires to see Jesus, but even as he is trying to catch a glimpse of this prophet Jesus looks up, calls him down, and honors him by coming to stay at his home. Luke, more than any other evangelist, is consistently concerned about matters of wealth and, correspondingly, treatment of the poor. In this story a rich man receives Jesus with joy and gives (or promises to give) half of his wealth to the poor and restores (or promises to restore) fourfold any amount he may have defrauded, and Jesus announces that the impossible has now happened as “salvation has come to this house”. Finally, Zacchaeus is short, not just in physical stature, but also in terms of his moral standing among his neighbors who, no doubt, despised him; hence their reaction when Jesus invites himself to Zacchaeus’ home. The bystanders are outraged by Jesus’ behavior. 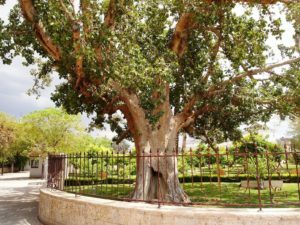 Was Zacchaeus considered a misfit? Why or why not? was passing through Jericho where he lived? did he hope to see? stopped to talk and make time for Zacchaeus. What does that tell you about our Lord? How important do you feel you are to the Lord? Who are the people that we exclude or discourage from our own faith walk? Jesus accepts ALL! How should we be responding?